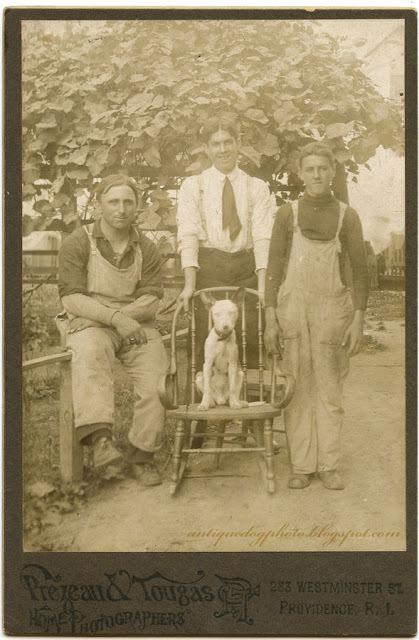 It is not often that you come across Cabinet Card photographs that feature people dressed in their "work" clothing as these three gents are. The images was taken by Prezeau & Tougas in Providence, Rhode Island, USA. Prezeau & Tougas are also different to the average photographers of the time because they are "Home Photographers" -visiting their clients in their homes (or in this case workplace) to photograph their portraits. The little Bullterrier must have be well liked to get center spot in the photograph.